Sentinel® Chainlink Super 70 is manufactured from high-tensile steel wire, and has over twice the strength of traditional chainlink fencing. The use of high-tensile wire provides a stronger fence, and special green coating applied to the heavily galvanised wire gives longer life. Chain-link rolls are available in heights from 1800 to 2750mm with a standard mesh size of 50x50mm. Wire is available 3.00 and 3.55mm diameters. The top and bottom edges of the fence are available in either barbed or knuckled finishes, or a combination of both. The wire is galvanised to BS 433 prior to a special green treatment which increases resistance to white rust corrosion. 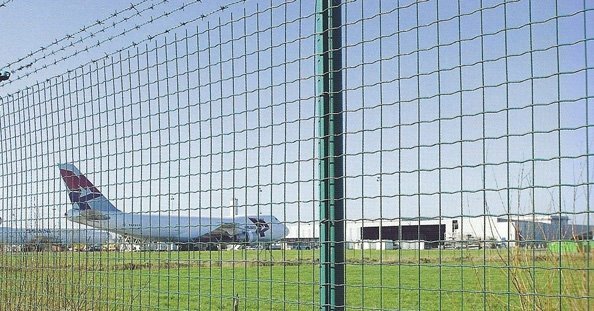 It is manufactured from high tensile steel wire (70tpsi) throughout, which is over twice the strength of traditional galvanised chain link fencing.